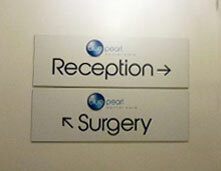 Internal signage is essential to creating a great first impression for your visitors and customers alike. 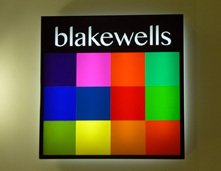 We provide a wide range of solutions for all your internal signage requirements. Whether interior signage is required for a one-off promotion or as a permanent addition, we can help you create the right impression for your business. 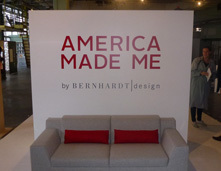 We will visit you on-site to discuss your brief, offer advice and provide inspiration. We can also highlight any potential challenges you may not have considered and ways these can be overcome. Once you are happy to go ahead, a template will be created to ensure that you are happy with your chosen design, before the final product is manufactured, delivered and installed. 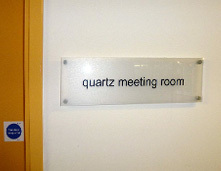 Reception signs must be functional, welcoming and informative – They are often the first point of reference in a building. Directory Signage is usually present in the reception areas of large or multifunctional buildings, giving clear indication to the services and departments on each floor or in each area. The purpose of wayfinding signs is to direct visitors who are unfamiliar with their surroundings to a location or destination effortlessly and to take account of the needs of all, including the visually impaired. Internal Door signs inform visitors of the purpose of each room of a premises without them having to disturb the occupants.